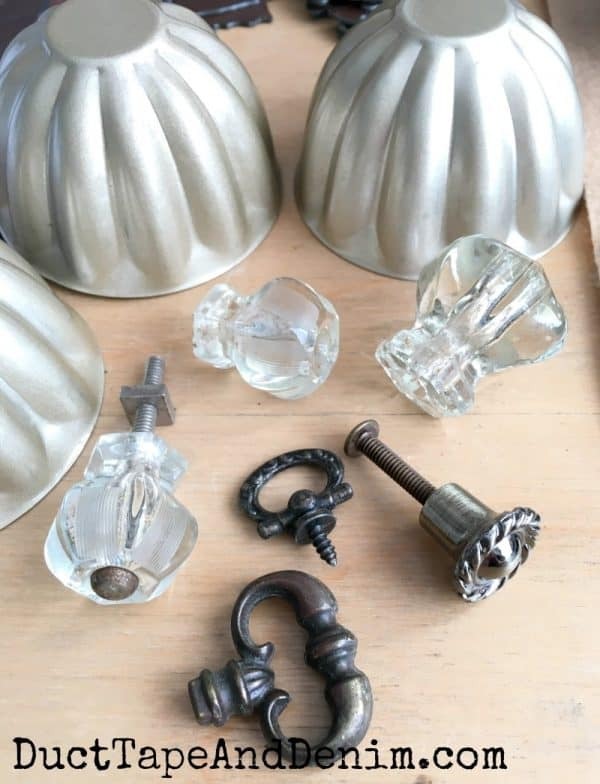 I’ve been collecting old jello molds, vintage glass knobs, and other bits all year long to make more junky pumpkins. 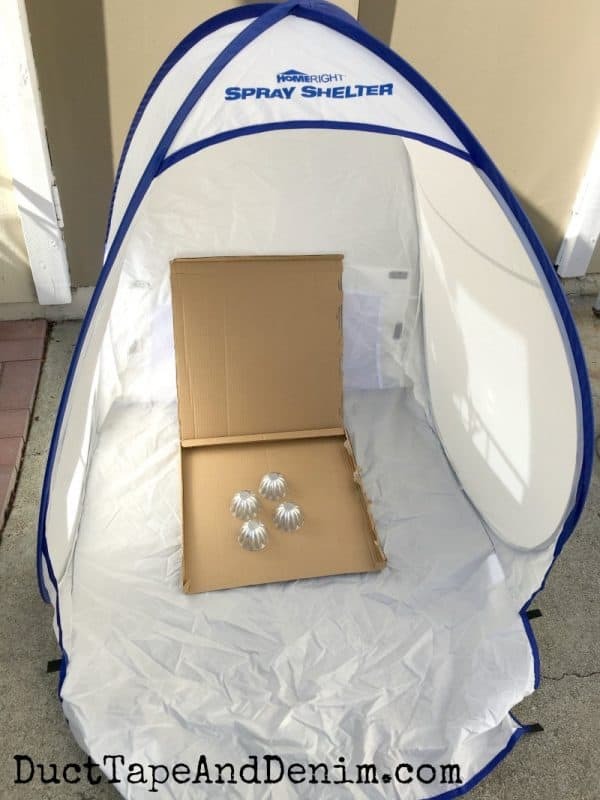 First I pulled out my new spray shelter. This has really come in handy since we live in a townhouse with a small patio. No more overspray! After a couple of light coats of spray paint dried I drilled a hole in the tops. As you can see, I didn’t always get right in the center. But that’s all right… do real pumpkins always have stems right in the center? I made a quick video to show how to add the knobs and wire. A couple of these had been painted orange first so I left a little of that showing through. I made the Be Grateful signs last year with some boards I found in a scrap pile while I was out walking! FREE! Now you can see this year’s junk pumpkin compared to the orange version I made a few years back. Thanks for reading. I’d love to hear if you’ve made any unique pumpkins. Leave a comment and let me know. We join these blog parties. Featured on Crafty Weekends, Rae Gun Ramblings, Funtastic Friday. Those are sooo cute! 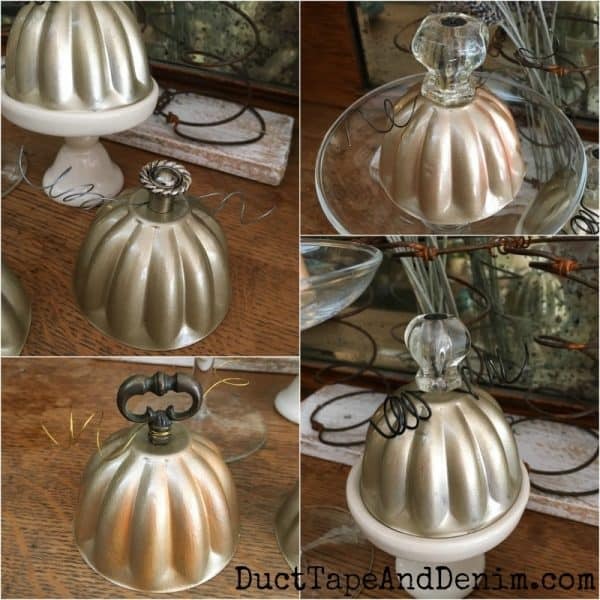 I never would have thought the combio of knobs and wire with your molds would make such cute pumpkins! So cute! 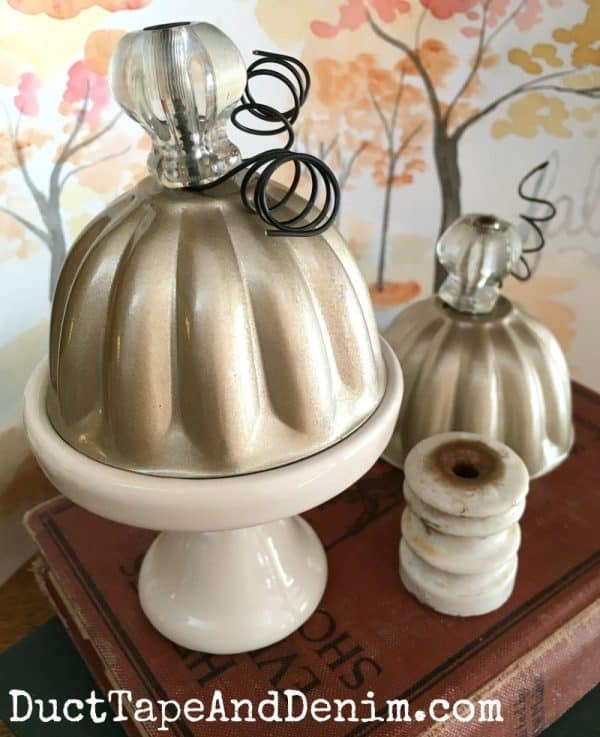 Love that you have used all repurposed goodies to make these sweet pumpkins! 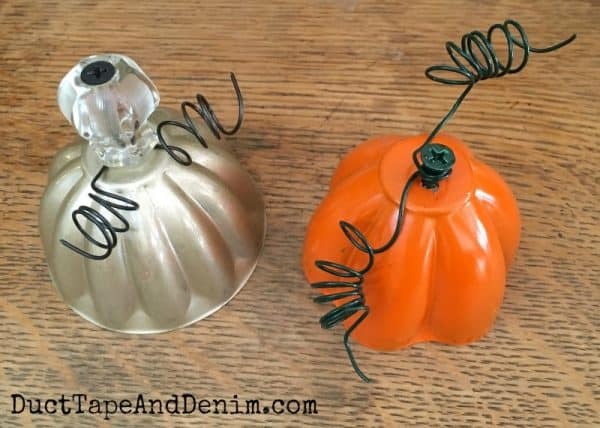 Never saw pumpkins when I looked at these jello molds. Have hung onto them since we lived in MT and that was quite a while ago. Lived in MT for 7 yrs. then KY for 5 yrs, and have lived here in western CO since 2004. Don’t see these little jello molds here but sure did in KY and MT. Absolutely love what you did with these little molds. Have wanted to buy more but just not available. 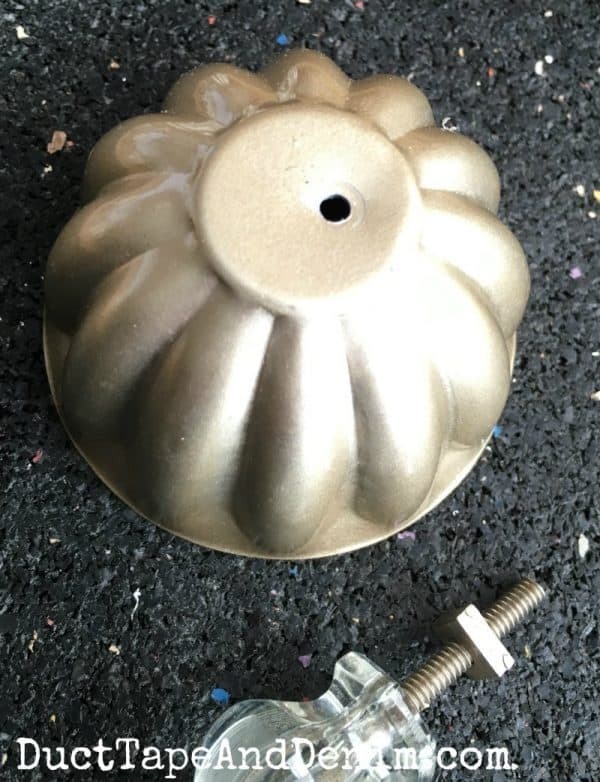 Was thinking about a bundt pan for bigger pumpkin, think one of those would work? If I spot one will see what I think. Used to see them at thrift stores but haven’t for long time, isn’t that the way? Great idea! Makes me want to look around the garage for some random “junk”! Visiting from Mini Linky Party. 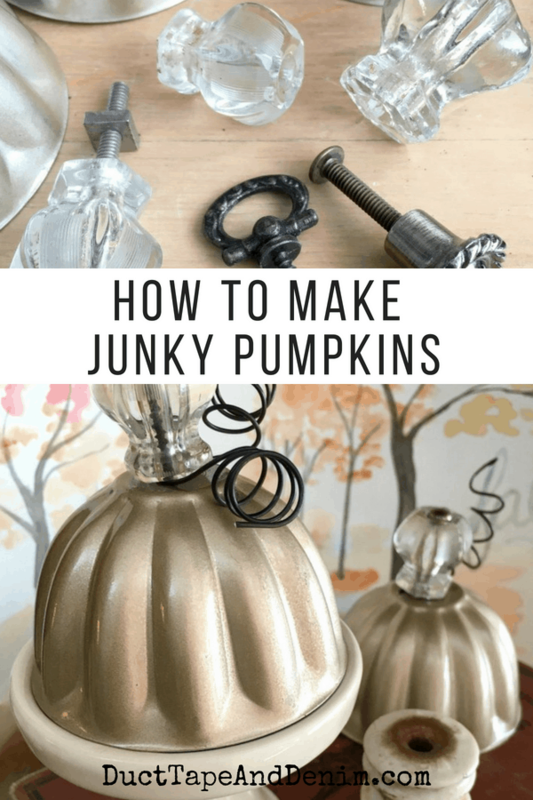 These junky pumpkins are so cute and creative! 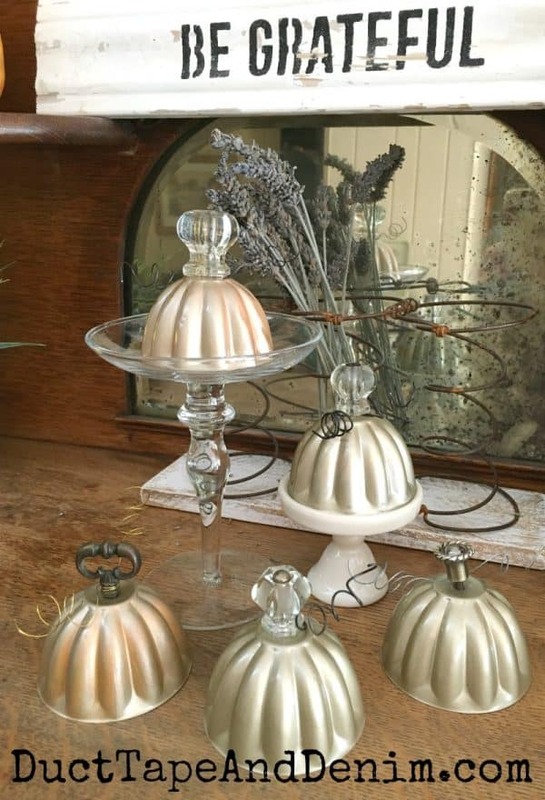 What a unique way to use those jello molds. This was the Most Clicked from last week’s Snickerdoodle Party. All of the party co-hosts will be featuring them at today’s party and it will be featured in the party reminder email. Thanks for partying at Snickerdoodle! How adorable. They are the chicest pumpkins ever. Very clever! So many ways to make a pumpkin also. These are Adorable! The orange ones are cute too, but I think this year’s are my favorite. I’ve gotten to where I like the different colored pumpkins best.